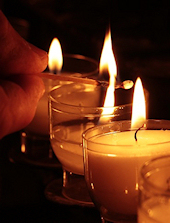 Terrie L. Morgan, 56, of Allentown, passed away January 30, 2019. She was the daughter of the late William Pavlick and Ellen M. (Wotherspoon) Morgan. Survivors: brother- Kevin Morgan and nephew- Michael Joseph Senick IV. 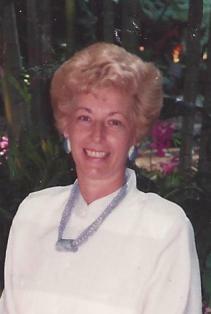 Services will be Private c/o Kohut Funeral Home, Inc.
Antoinette M. Lesko, 83, of Allentown passed away January 7, 2019. She was the daughter of the late Anthony and Mary (Rawski) Lesko. She will be deeply missed by her family and friends. Survivors: sisters- Pat Schroeder and Theresa (Robert) McDevitt; brother- Anthony Lesko, and nieces, nephews, cousins and close family. She was predeceased by her sister- Mary Bauer and brother- Lawrence Lesko. A calling time will be held on Friday, January 11th 9-10AM with Mass of Christian Burial to follow at 10AM in Ss Peter and Paul Catholic Church 1065 Fullerton Ave Allentown, PA 18102. Inurnment to follow in Our Lady of Mt. Carmel Cemetery. In lieu of flowers, contributions to the church care of Kohut Funeral Home, Inc.
Mary (Krainiak) Fartuch, 89, formerly of Allentown, passed away on her Church’s Christmas Eve, Sunday, January 6, 2019 at Manor Care in Bethlehem. She married the love of her life, John Fartuch and spent 48 years of marriage with him until his passing. Born in Allentown, she was the daughter of the late Andrew and Helen (Urenko) Krainiak. She was very proud to have spent her early years working for Hess’s Department Store and then for various clothing factories in the Lehigh Valley. Mary was a member of St. Mary Ukrainian Orthodox Church and their choir. She will be deeply missed. Survivors: sons- Nikolai Fartuch of Whitehall, Andrew Fartuch and his wife Edwina of Florida, Peter Fartuch and his wife Debbie of Schnecksville; grandchildren- Carter Fartuch, Kimberlee Spengler, Jennifer Gerhart; great grandchildren- Jacob and Kyle Gerhart. She was predeceased by her daughter- Maria Fartuch, brother- Andrew Krainiak and sister- Anna Panik. A viewing will be held Saturday, January 12th 9-10AM with a Funeral Service to follow at 10AM in St. Mary located at 1031 Fullerton Ave Allentown, PA 18102. Burial to follow in the parish cemetery. In lieu of flowers, contributions can be made to St. Mary’s Sunday School Fund or Scholarship Fund care of Kohut Funeral Home, Inc.
Rosemary N. (Candia) Berish, 74, of Bethlehem, passed away December 14, 2018. She was the loving wife of 30 years to Andrew Berish. Born in Allentown, she was the daughter of the late Mario and Mary (Schramek) Candia. Rosemary graduated from Dieruff High School in 1961. She retired from the US Postal Service’s Personnel and Safety Office after 30 years of service. Rosemary was a member of St. John the Baptist Slovak Catholic Church and was part of their knitting group. She volunteered for Lehigh Valley Hospital Muhlenberg. Rosemary enjoyed baking and cooking and loved all of her dogs. She was a dedicated wife, mother, grandmother and great grandmother that will be deeply missed. Survivors: husband- Andrew Berish; daughters- Mary Ann Rupp and husband Joel W. Rupp Sr., Denise Watro and husband Gregory Watro; grandchildren- Tiffany Kushner, Joel Rupp Jr., Tyler Dornblaser, Stephanie Kutzler and Greg Watro; great grandchildren- Collin, Nyla, Joel III, Chace, Sierra, Nora and Athena; many dear nieces and nephews. She was predeceased by her sister- Elaine Stoudt and brother- William Candia. A viewing will be held Wednesday, Dec 19th 6-8PM and Thursday, Dec 20th 8:30-9:30AM in Kohut Funeral Home, Inc. 950 N. Front St. Allentown, PA 18102. Mass of Christian Burial will be celebrated at 10AM Thursday in St. John the Baptist Slovak Catholic Church 924 N. Front St. Allentown. Burial to follow in Bethlehem Memorial Park. In lieu of flowers, contributions can be made in Rosemary’s memory to Lehigh Valley Hospice or to the American Cancer Society Local Branch care of the funeral home. Dorothy V. (Stephen) Mack, 70, of Slatington, passed away December 6, 2018. Born in Allentown, she was the daughter of the late Curtis S. and Anna (Kincaid) Stephen. She was the loving wife of the late Wayne H. Strohl and previously to the late Allen G. Mack. Dorothy loved to read and devoted her life to caring for the children in her family and her husband Wayne. Survivors: son- Brian and wife Cathy Strohl; step-daughter- Audene Strohl; step-son- Thomas and wife Kimberly Strohl; grandchildren- Brianna, Tyler, Taner, Adam and Tina; great granddaughter- Holland; sister- Shirley McBride; brother- Curtis Stephen. A viewing will be held on Wednesday, Dec. 12th 10-11AM with a Service at 11AM in Kohut Funeral Home, Inc. 950 N. Front St. Allentown, PA 18102. Burial to follow in Grandview Cemetery. Contributions can be made in Dorothy’s memory to the American Cancer Society toward Leukemia Research. Thomas "The Barber" Abraham, 81, of Bethlehem, passed away December 3, 2018. He was the loving husband of the late Mary (Noga) Abraham. Born in Brooklyn, NY he was the son of the late Isaac and Alice (Salem) Abraham. 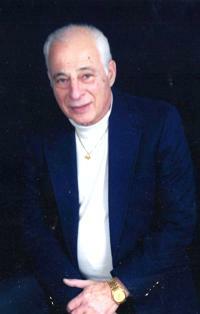 He was a 1955 graduate of Allentown High School. Tom owned & operated Tom’s Barber Shop on 2nd St. in Allentown. He retired in 2015 after being a barber for 60 years. Tom enjoyed going to car shows and wood working. He loved the Philadelphia Eagles and the Phillies. Above all else, he loved spending time with his family. He asked that we thank all of the customers who came into his barber shop over the last 60 years. He enjoyed being part of your lives and valued your friendship. Survivors: children- Tammy and husband David Warnke of South Whitehall Twp, Michele and husband James Mishko of East Allen Twp, Michael and partner Candy of Kunkletown; grandchildren- Benjamin Warnke, Nathan Warnke and wife Alyssa, Austin Mishko and wife Nicole, Gunnar Mishko; 4 great grandchildren; brothers- Robert and wife Edna Abraham, Edward and wife Barbara Abraham; sisters- Rosemary Kish and Carolyn Freitas. He was predeceased by his brother- Samuel Abraham. A viewing will be held on Saturday, December 8th 10:30-11:30AM with a Service to follow at 11:30AM in Kohut Funeral Home, Inc. 950 N. Front St. Allentown, PA 18102. 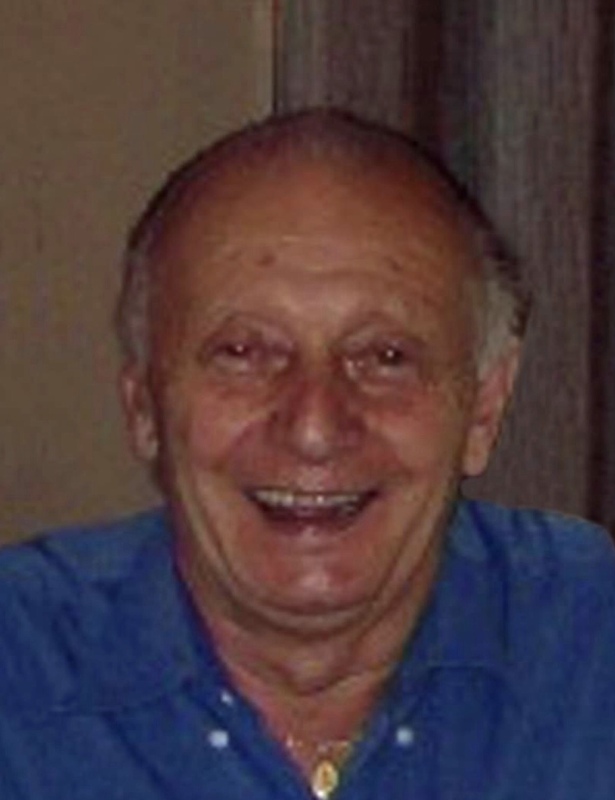 Ronald J. Lauer, 86, of Whitehall, passed away December 2, 2018. 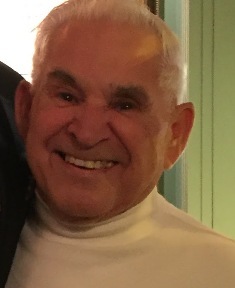 He was the loving husband of 67 years to Phyllis F. (Kloiber) Lauer. Born in Bowmanstown, he was the son of the late James W. and Mary C. (Kemmerer) Lauer. He served in the U.S. Army National Guard. Ronald retired from Bethlehem Steel after 41 years of service as a carpenter and rigger. He was a member of St. Elizabeth of Hungary Roman Catholic Church. 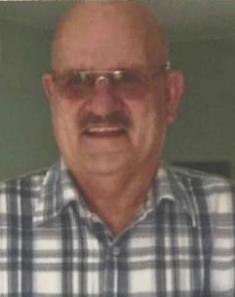 He was also member of the Fullerton Fire Co. Ronald loved music and spending time with family and friends. Survivors: wife- Phyllis Lauer; children- Ronald H. Lauer of Whitehall, Jane Yenser and husband Robert of Allentown, Karen Langan and husband Joseph of Allentown, Joann Sheckler and husband David of Whitehall, Sharon Barber of Whitehall, Alan Lauer and wife Penny of Whitehall; 5 grandchildren; 2 great grandchildren; 2 brothers and 3 sisters and cat- Dewy. He was predeceased by 1 brother and 1 sister. A calling time will be held on Thursday, December 6th 11AM-12PM with a Service at 12PM in Kohut Funeral Home, Inc. 950 N. Front St. Allentown, PA 18102. Burial to follow in Cedar Hill Memorial Park. In lieu of flowers, contributions can be made in Ronald’s memory to the Alzheimer’s Assoc. 399 Market Street, Suite 102 Philadelphia, PA 19106.